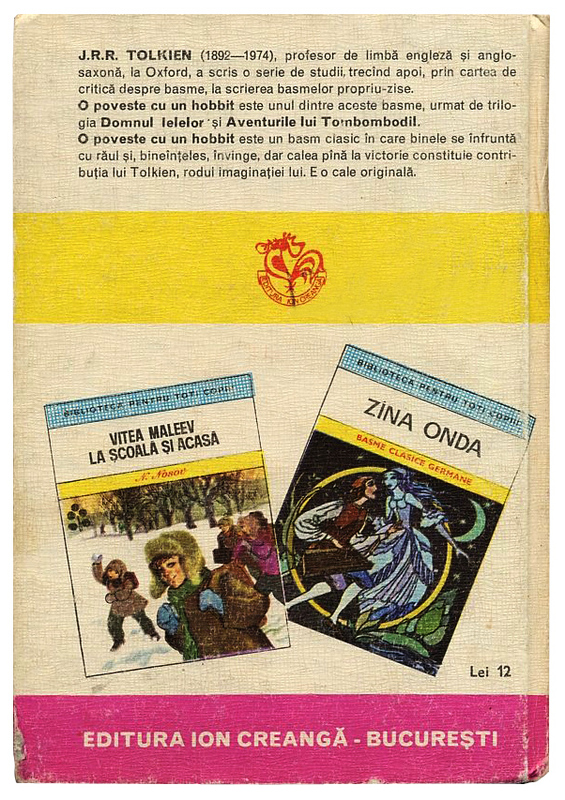 The Hobbit (O Poveste Cu Un Hobbit) Romanian Edition, 1976 | 'TAIN'T THE MEAT… IT'S THE HUMANITY! 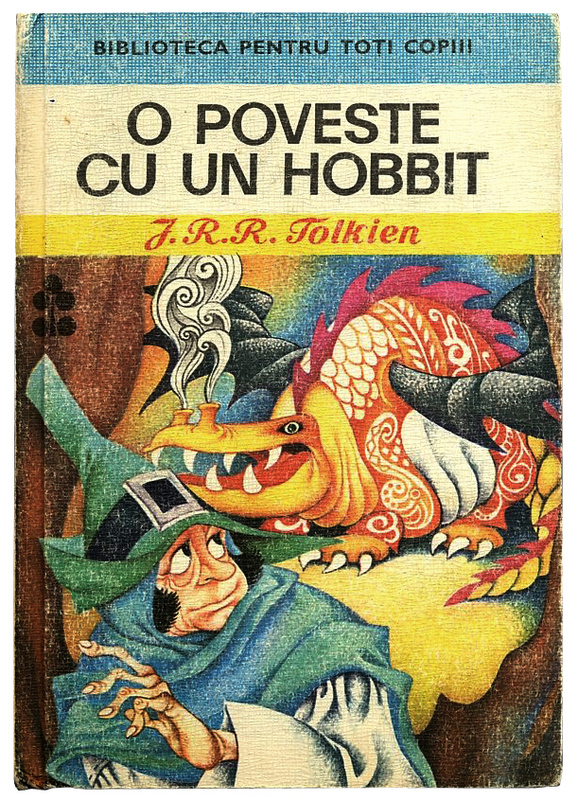 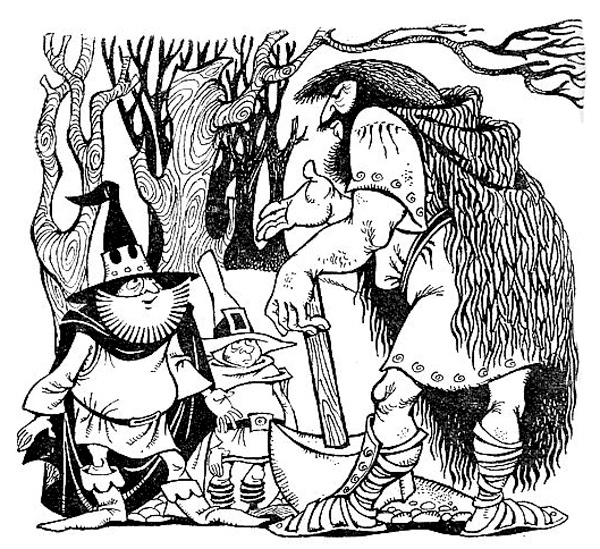 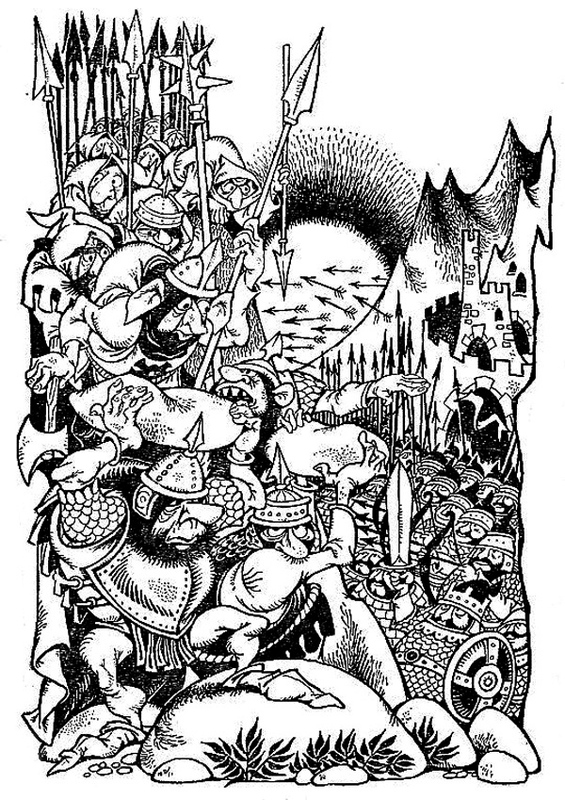 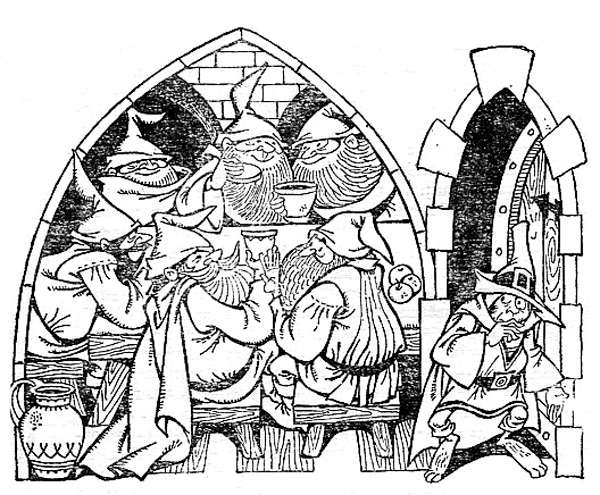 Published in 1976 O Poveste Cu Un Hobbit (“A Story About a Hobbit”) was the first illustrated Romanian-language edition of JRR Tolkien’s classic children’s story The Hobbit. 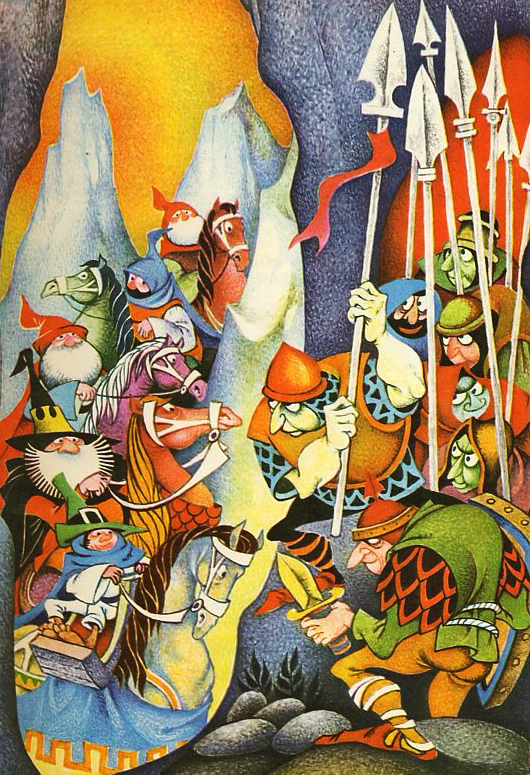 This hardback book was published by Bucharest-based childrens publisher Editura Ion Creangă, was translated by Catinca Ralea and featured illustrations by celebrated comic book and graphic artist Livia Rusz. 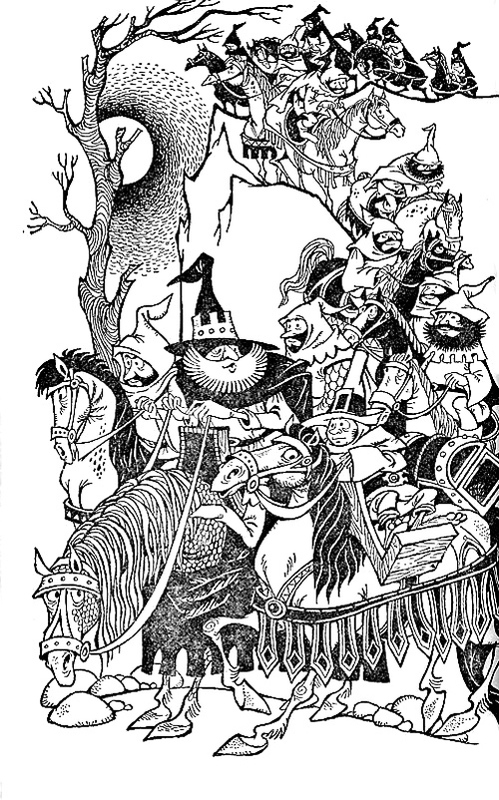 Rusz, working as one of Editura Ion Creangă in-house illustrators, contributed over a dozen colour and black and white illustrations to the book. 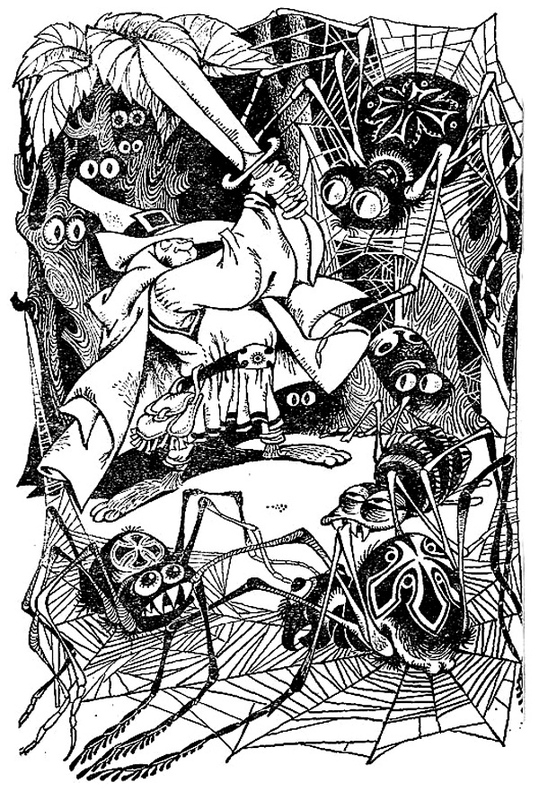 Her work was clearly influenced by traditional woodcut engravings and they perfectly suit the tone of the story. 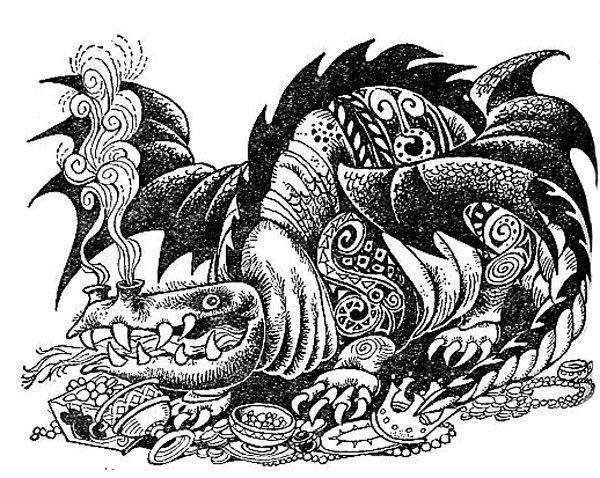 Her version of Smaug is terrific, as is her rendition of the spiders from Mirkwood. 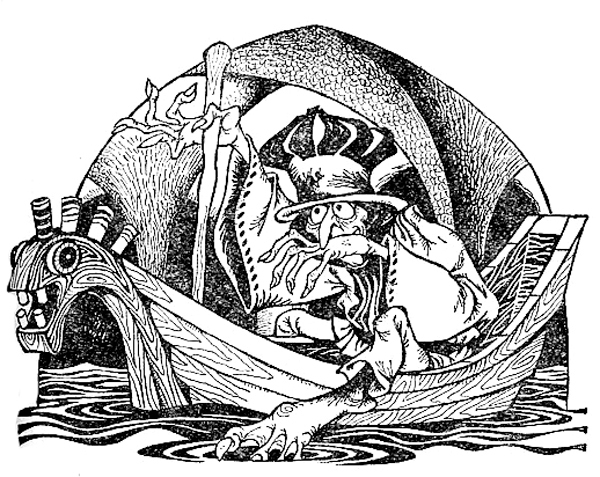 My favourite though has to be Gollum (I love his viking-style boat and his pointed hat) as Rusz perfectly captures the character’s sly creepiness creepy.